Class of 2019: 12% were Rensselaer Medalists; 72% were in the top 10% of their class; the average high school GPA was 3.77. Rensselaer Polytechnic Institute is a laboratory of innovation and technology where scientists, artists, engineers, architects, and business students of all backgrounds learn and work together to create a collaborative learning environment unlike any other. The Institute is committed to fostering a campus of diversity and inclusion, where all students have the opportunity to reach their extraordinary potential. Its student body is a true multicultural mosaic, as undergraduates come from near and far to learn at Rensselaer. Among the current freshman class, 49 states and 62 countries are represented. While here, they’re part of a rigorous learning environment that’s devoted to educational innovation in the laboratory, classroom, and studio. Location is another benefit that Rensselaer students enjoy, as the school is a short drive from the tech hubs of Boston and New York City. Rensselaer’s Center for Career and Professional Development can help students strengthen their résumés by arranging internships and co-ops in not only these two cities but also at corporations, labs, and start-ups around the world. Amazon, Google, IBM, and NASA are just some of the places where Rensselaer students have learned on the job. Rensselaer is at the center of some of the most groundbreaking research taking place today. 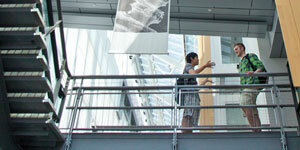 It’s currently home to 33 research centers across five schools, with annual funding awards topping $110 million. Its primary research areas include biotechnology and the life sciences; energy and the environment; computational science and engineering; nanotechnology and advanced materials; and media, arts, science, and technology. From Street Dance club and Black Students’ Alliance meetings to kung fu class and rugby practice, days at Rensselaer are never dull. 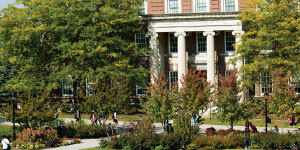 The school offers more than 200 student clubs, organizations, and intramural activities. 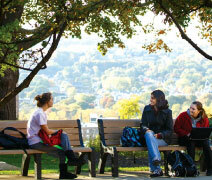 And adding to the school’s vibrant and diverse atmosphere is the abundance of undergraduates who call campus home. More than 60% of students live in Rensselaer’s 21 residence halls. Some of the halls are themed to match interests such as Design and Arts Housing, Leadership House, Wellness House, and the Vasuda Living and Learning Community. There are also 29 active fraternities on campus, with some geared toward minority students. Rensselaer Polytechnic Institute President Shirley Ann Jackson, PhD, is a renowned scholar, educator, and public servant who has led Rensselaer since 1999. An acclaimed theoretical physicist, Jackson is the first African American woman to receive a doctorate from MIT—in any field. She worked at Bell Labs for 15 years, taught at Rutgers University, then served as Chairman of the US Nuclear Regulatory Commission before taking over the helm at Rensselaer and transforming it into a world-renowned research and educational institution. of Advisors on Science and Technology, among numerous other government and science boards.